serving all ages, sizes, colors, genders, beliefs, religions, orientations & cultures. May all who enter as guests leave as friends! Located just minutes from downtown, The Waterfront Café Is located in Berger Park Cultural Center and is housed in a historic landmark coach house attached to one of the few remaining mansions that once lined Chicago’s Lakefront. Our outdoor patio often features live entertainment and always breathtaking lake views. 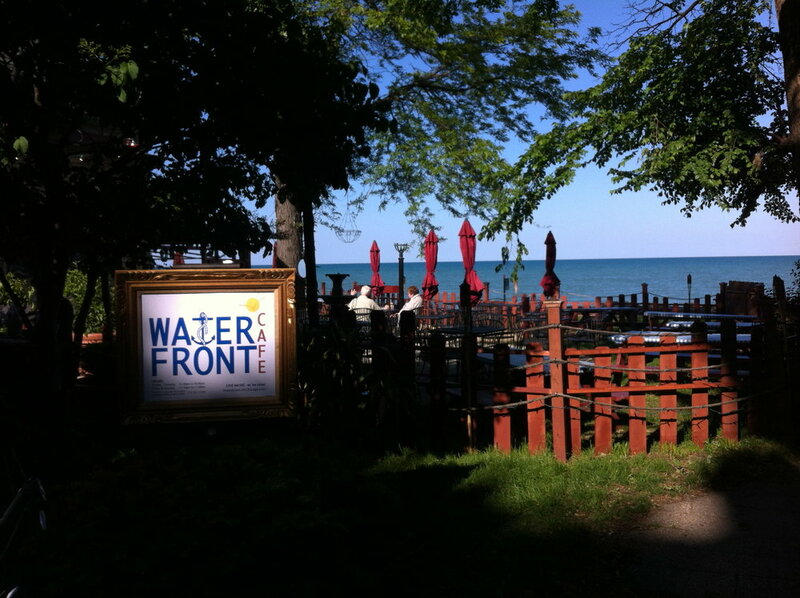 The Waterfront Café presents Chicago artists on our lakefront stage who create an environment fun and inviting for our dining guests while not too distracting from conversation and other activities taking place, and well as respecting the open-aired environment of the park and our neighbors. PLEASE NOTE: During live music performances a $1.00 surcharge will be added to each check. Please notify your server if you would like to opt out of this artist contribution fee when requesting your tab. Although the staff at The Waterfront Café takes precautions to safely handle ingredients and foods that may contain WHEAT, SOY, EGGS, MILK, TREE NUTS, PEANUTS, FISH and SHELLFISH, cross-contact may occur. Please inform your server of allergies or dietary restrictions as menu items contain unlisted ingredients. The Chicago Department of Public Health advises that consumption of raw or under cooked foods of animal origin such as beef, eggs, fish, lamb, pork, poultry, or shellfish may result in an increased risk of foodborne illness.